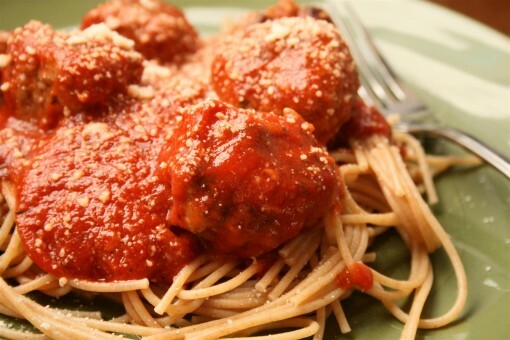 Gluten Free Parmesan Meatballs was posted on November 21st, 2012 and is filed under Gluten Free, Low Carb, Main Dishes, Protein, Recipes. This entry has 6 comments. You can follow any responses through the RSS 2.0 Comment Feed. I haven’t been around on Colourful Palate much lately…and I miss it. Right now I’m trying to learn how to balance everything with college, freelancing, family, and social life. I guess my blog is the first thing to go! Anyway, I wanted to share my favourite meatball recipe. 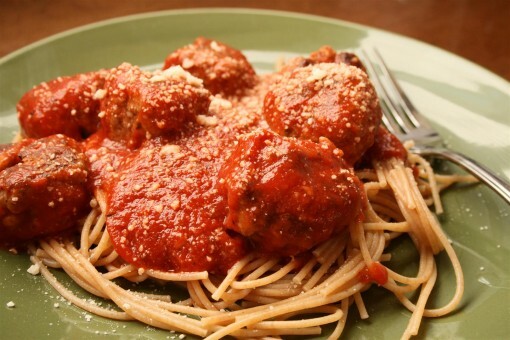 Most meatballs have fillers that use gluten, so I made up a recipe that is absolutely decadent WITHOUT gluten. At the risk of sounding arrogant, I’m going to say my recipe results in my favourite meatballs. I think it’s the Parmesan cheese that makes this recipe so delectable. I like serving these with a tomato sauce and pasta, but in a recipe (coming soon!) I actually serve them in a soup and it’s ahmaaazing. Get creative you can have these with really anything – maybe topping a salad for protein or even a meatball sandwich. Serves 4. If you’re looking for detailed instructions…there aren’t any. Mix it all up (use just a little bit of each spice – think 1/2 tsp), form into small balls, and fry them up on medium heat. Just make sure that the middle is thoroughly cooked before you serve them. Yum. Yum. Tell me what you think of them and have an awesome hump-day Wednesday! 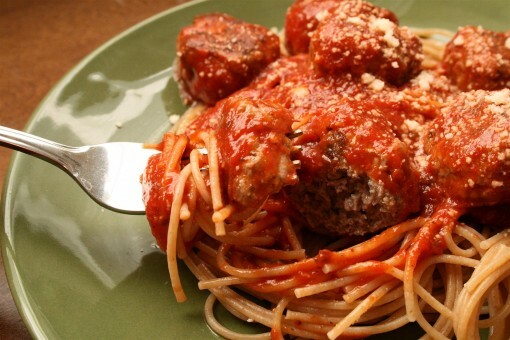 What kind of recipes do you serve meatballs with? How creative to add a rice cake in there. I’m going to have to try that next time! These look awesome. I love that you used a rice cake! Thats genius!! I never thought to use a rice cake! I’ve used ground flax and that works pretty well. Smart idea! You always leave me drooling. Always. Wonderful. Glad to know we can all enjoy pasta with meatballs. No one should be left out of THAT party. Cheers.